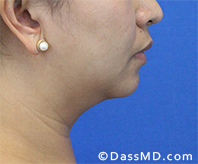 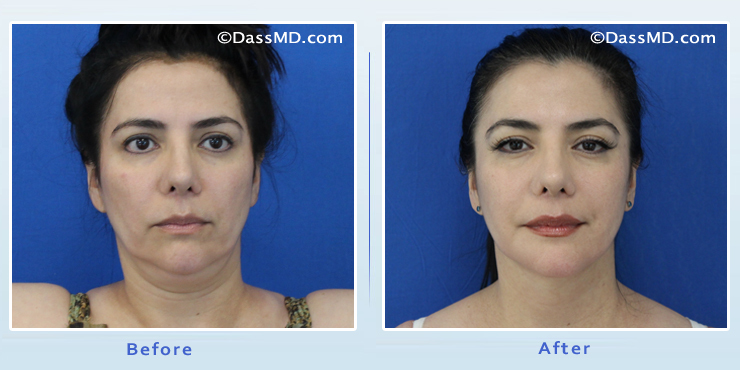 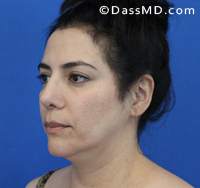 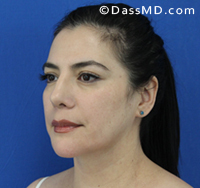 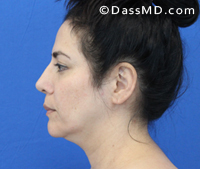 Combination of chin implant and chin liposuction creates dramatic results. 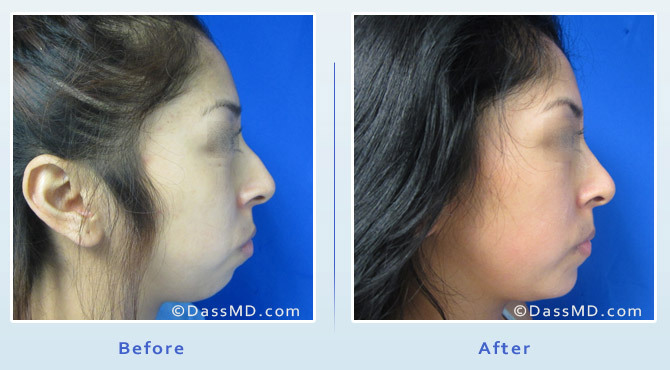 Chin implant placed through an intraoral incision (inside the mouth) creating no visible scar on the outside. 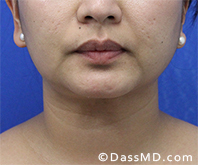 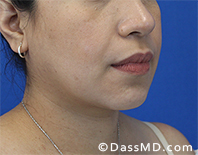 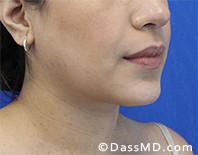 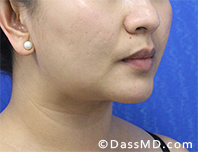 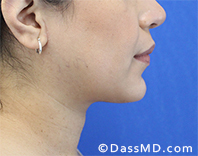 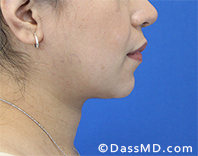 Chin liposuction was performed through a tiny incision under the chin that is nearly imperceptible. 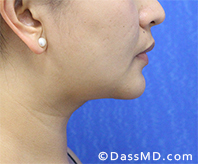 This young girl has a very small, retruded chin. 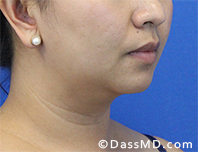 The chin was augmented with a large chin implant. 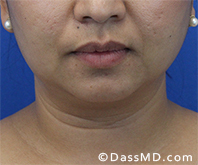 The implant was placed with a scarless technique (no external scars) by placing the incision inside the mouth. 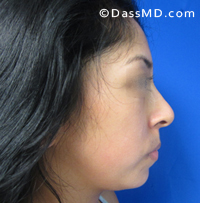 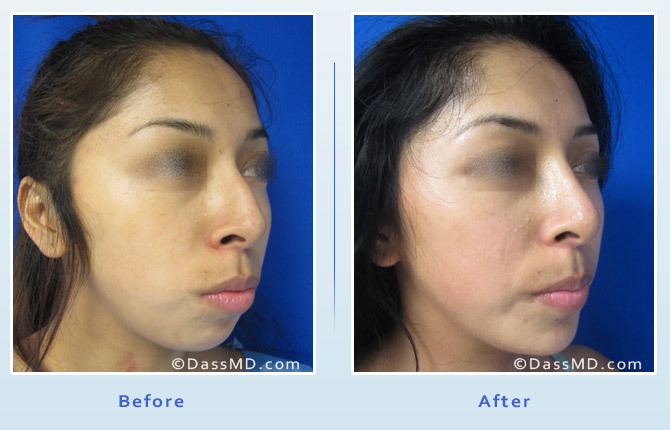 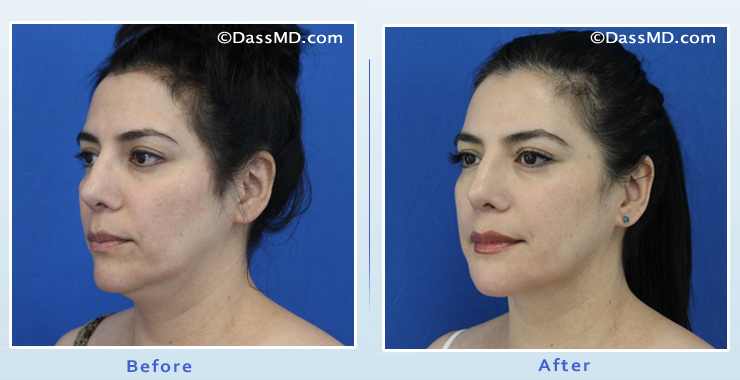 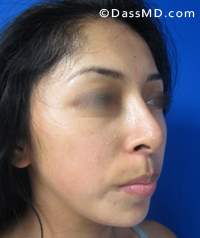 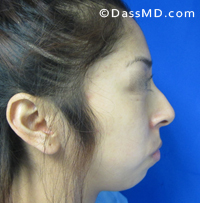 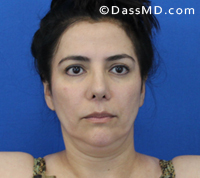 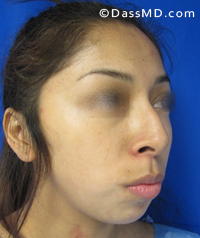 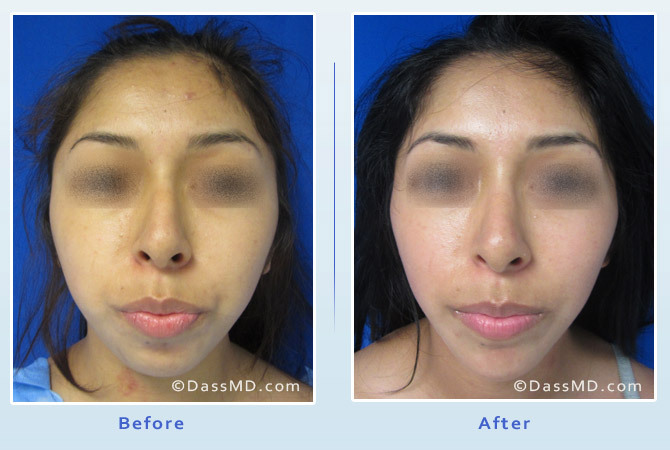 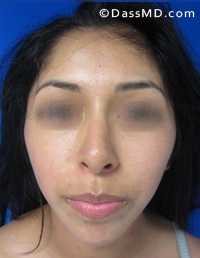 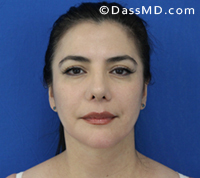 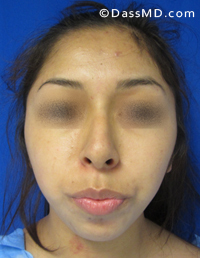 This patient also had a scarless rhinoplasty at the same time. 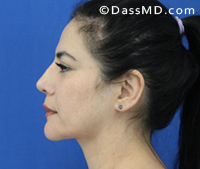 Notice how the face appears more balanced.